For those users who have supported us by purchasing our very first revision of the KTunerECU hardware we are offering a way to upgrade to the latest and greatest hardware, KTunerECU Revision 1. Please read the entire page before purchasing your upgrade! Upgrade to our Revision 1 hardware for just $100, plus applicable shipping. Receive these great features. Add Bluetooth to your Revision 1 hardware for an additional $35. 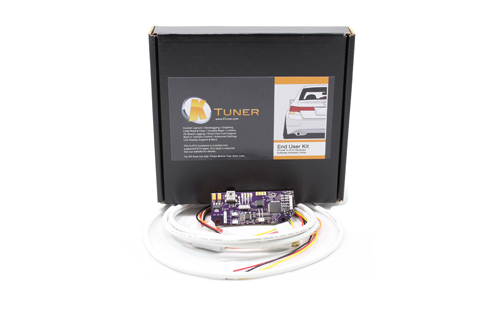 A KTuner compatible bluetooth module can be purchased to add bluetooth to your hardware for use with supporting peripherals and the TunerView Android app (See TunerView info below). 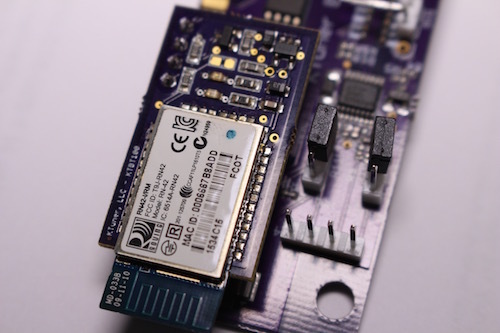 Pair your new Bluetooth module with the TunerView real-time display and datalogging application for only $5. Available on the Google Play store. 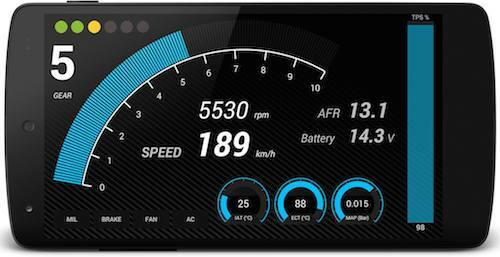 The TunerView application for Android brings these great features. You will need to send your original revision 0 hardware back to receive your revision 1 hardware. Once you purchase your upgrade we make arrangements to get your revision 0 hardware back. As soon as it comes in we ship out your new revision 1 hardware. What if I don’t want to send the unit in first? You can pay full price for an upgraded unit and once that unit is received you can send back your original revision 0 hardware for a refund of the difference. Once you’ve made your purchase below via paypal simply email us to arrange shipment of your revision 0 hardware. We’ll walk you through the details. It’s that simple.